If there’s a mountain biker in your life and you’re looking for the perfect gift, you might not be entirely certain what they may need and actually use. To help you out, we’ve compiled a list of the 20 best gift ideas for mountain bikers, as well as a short guide on features to look out for. Ideally, mountain biking won’t be an overly harsh or bumpy activity. In the event that it is, though, your gifts should be able to withstand harsh conditions. This includes possible rain and mud, as well as withstanding scratches, dirt, and impact. An item that doesn’t last longer than a few rides sends a bad message to a giftee about the quality of your gift. For items designed t be brought along by a mountain biker, they’ll need to be relatively lightweight so they don’t drag the bike’s speed, and they should also be compact enough to easily bring along with limited space to spare. While not the most high-risk of sports, mountain biking still carries its fair share of margin for accidents. Items that help keep your giftee safe as they bike around, or help patch up scrapes, make great gifts as they show you truly care about them. Even if what you’re buying isn’t directly related to safety, it should be safe for use by cyclists! 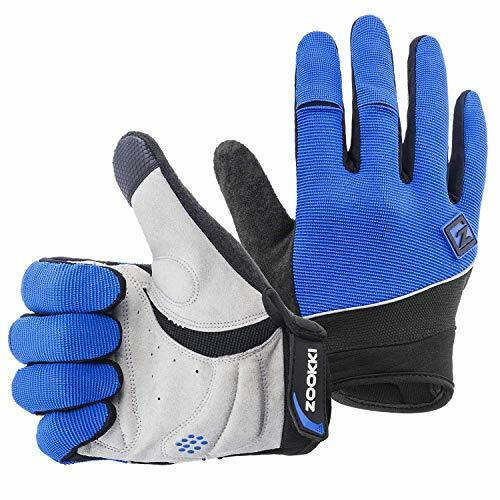 The ZOOKKI Cycling Gloves are made from elasticated lycra fabric and triple sandwich mesh cloth for maximum breathability, stretchiness, and three-dimensional tailoring. It wicks away moisture and sweat and is designed to be skid-proof and durable. The palm of these gloves contains a silica gel pad that absorbs and reduced shock, and the gloves’ surface has reflective piping for better safety and visibility. These gloves come in four sizes, too. 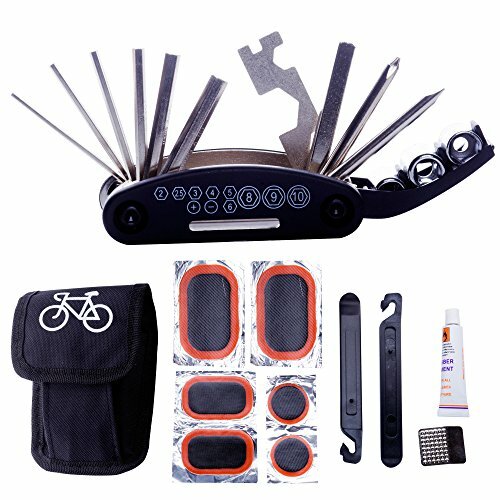 The DAWAY Bike Repair 16-in-1 Multifunction Tool Kit is the perfect kit for bikers. It’s compact and lightweight, so it’s completely portable for emergencies, weighing only 10 oz. It contains 16 different types of tools, including screwdrivers, wrenches of different kinds, spanners, and rods. This repair kit has tools made from ABS and carbon steel which are high-quality and durable. It also comes equipped with a tire repair kit and a small gift bag that’s both practical and stylish. The Finish Line DRY Teflon Bicycle Chain Lube applies wet to a bicycle chain and keeps it clean by drying in a synthetic film that prevents muck and dirt from sticking to it. It is highly versatile and reduces wear and tear significantly. This chain lube is made with an ingredient called Teflon fluoropolymer, which reducing friction when pedaling and helps to repel moisture, allowing a bicycle to last for 100 miles of riding. There are 8 product options to pick from so you can pick what best suits your giftee. 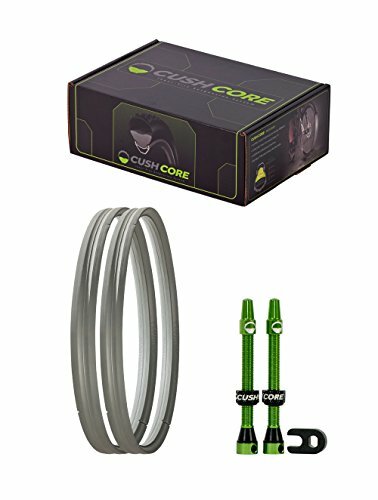 The CushCore Tire Inserts with Tubeless Air Valves provide extremely reliable tire and rim protection, as well as reducing pinch flat and tire burp risk significantly. This set of two inserts and valves are sure to improve traction for better cornering and stability, and they practically guarantee a smoother ride thanks to their suspension system with shock and vibration absorption. 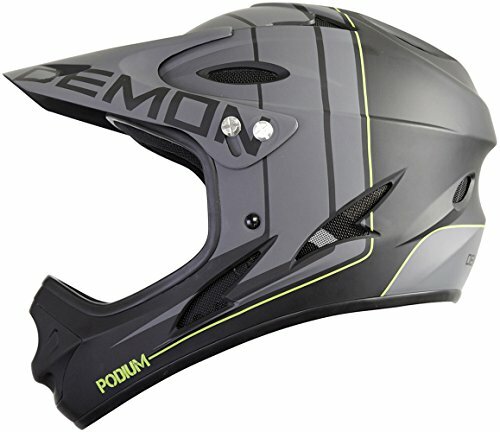 The Demon Podium Full Face Mountain Bike Helmet is a CPSC-certified product that uses an EPS foam lining to conform to a user’s head shape. It fits well and has a machine washable liner, as well as having 13 vents in its body for ventilation. This helmet weighs 2 lbs and 2 oz, comes with a helmet bag, and has 6 color options to pick from. 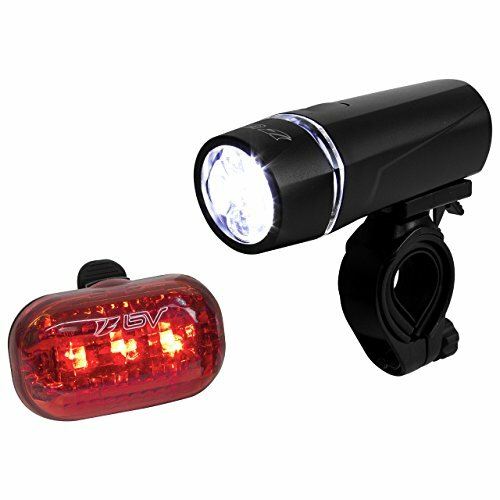 The BV Bicycle Light Set Super Bright Headlight and Taillight have a visibility distance of 1,500 feet and provide up to 80 hours of light. The headlight uses 5 LEDs while the taillight uses 3 LEDs, and they both have a quick-release mount. The taillight is also angle adjustable. These lights are weather resistant and will fit most seat posts or handlebars with ease. 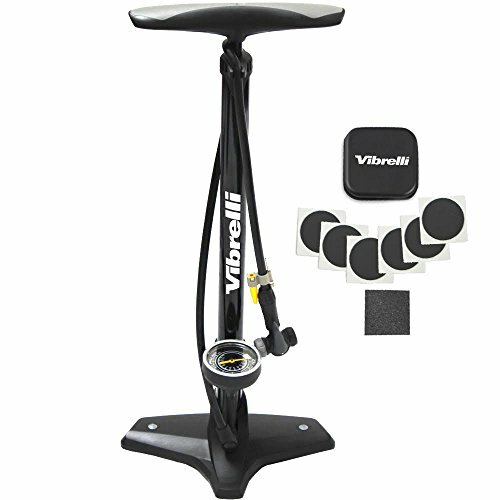 The Performance Bike Floor Pump with Gauge & Glueless Puncture Kit is an easy-to-use tire care kit for cyclists. It uses a Rapid-T valve to fit both Schrader and Presta varieties, with a strong seal that prevents leaks. Plus, the glueless puncture kit is easy to work. This floor pump inflates up to 160 PSI, and its gauge is highly accurate and simple to use. It also comes with a 5-year manufacturer’s warranty. It’s the perfect puncture kit and pump for at-home repairs. 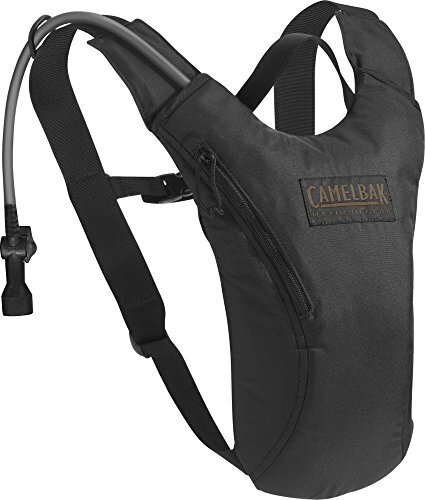 The CamelBak Mil-Tac HydroBak Hydration Pack is made from a blend of tough, abrasion-resistant exteriors, free from BPA, BPS, or BPF. It is designed to fit anyone, even those with smaller frames. This hydration pack has quick-release shoulder straps that can be removed briskly, and it has an external zipper pocket to hold items on the trail. The Okra Bike Phone Mount is a universal device that fits most smartphones. It is extremely secure and can easily fit onto most handlebars thanks to its stretchiness. It is durable and long-lasting, and it’s very quick to put on. 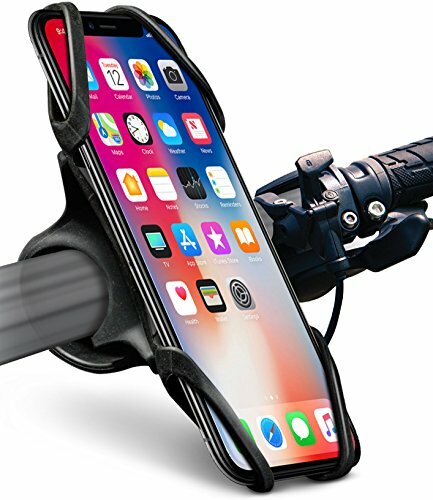 This phone mount has a 100% satisfaction guarantee, and its opened design means the entire phone screen is easily accessible. A drivetrain that isn’t clean can lead to shifting and excess damage. 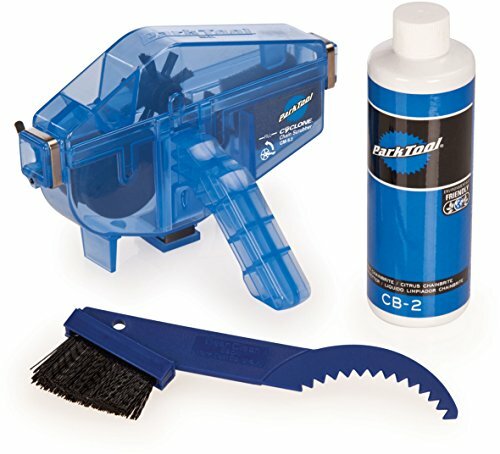 The Park Tool CG-2.3 Chain Gang Chain Cleaning System helps to make the cleaning process easier and more efficient. IT’s made to be safe for all materials and is plant-based. This cleaning system is packed with all the tools that can clean all materials of cogs, chains, and chainrings. It includes a chain scrubber, cleaner, and narrow brush that is the perfect size to fit into nooks and crannies. 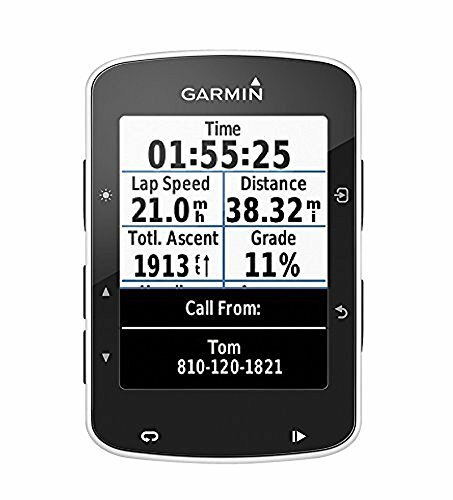 The Garmin Edge 520 Bike GPS is a great GPS for mountain bikers. It provides the possibility of in-ride challenges and, when linked with heart rate and power, can report VO2 and recovery time. This GPS has a number of interesting features. It has live tracking, can send and receive courses, allows for weather checking, lets information upload automatically, provides smart notifications and allows social media sharing. Plus, it’s water-resistant with an IPX7 rating. 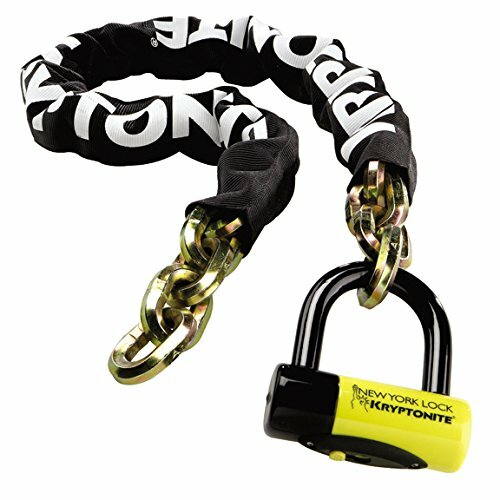 A mountain bike is expensive, and the Kryptonite New York Fahgettaboudit 1410 Chain and New York Disc Bike Lock keeps one safe. It uses a patented oval-hardened crossbar made from steel, incorporates a double deadbolt, and has a high-security cylinder in a disc-style that resists drilling and pulling. This chain and lock are made with hardened manganese steel and have a nylon cover for protection. It includes a dustcover that slides on and off with ease to elongate its lifespan. 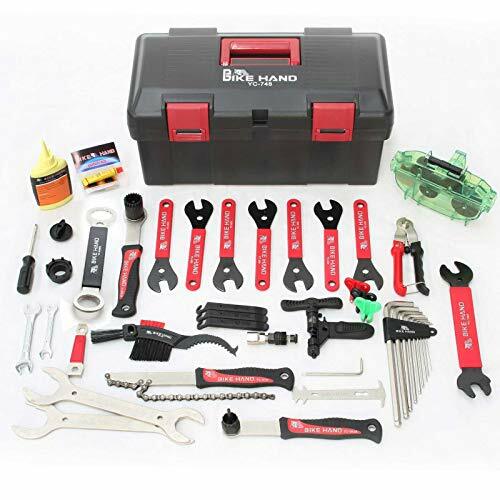 The Bikehand Complete Bike Bicycle Repair Tools Tool Kit is a complete tool kit with everything a biker might need. It doesn’t just include a variety of wrenches, screwdrivers, cutters, and blades, but grease, cleaners, brackets, and brushes, too! This important kit isn’t too large and is perfect for at-home tinkering. 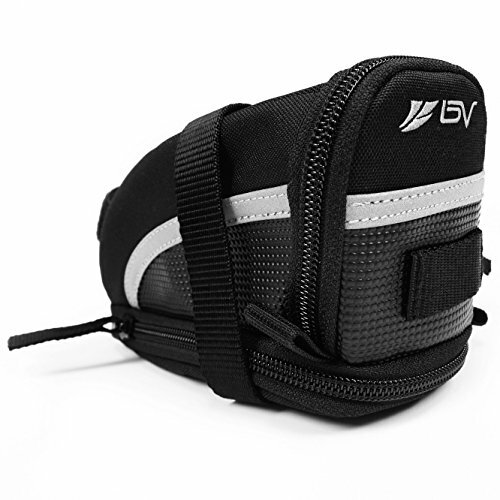 The BV Bicycle Strap-On Bike Saddle Bag is a great bag with a strap-on mounting design that allows it to be strapped securely to any spot. It’s a great size for any biker’s essential items, plus a key clip and mesh pocket for even more space. This saddle bag comes with reflective trim for visibility and a tail light hanger so your giftee can opt for even more safety. It comes in three sizes that can all be expanded and includes a limited warranty. Tubeless installation can be a real pain for bikers. 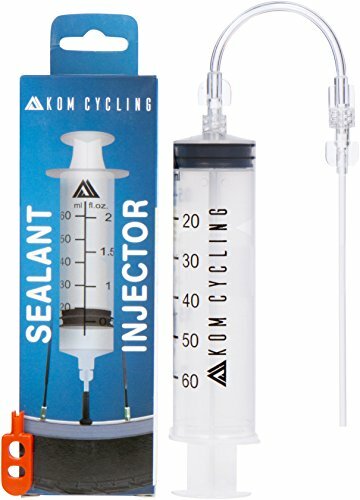 The KOM Cycling Tubeless Sealant Injector Syringe makes it a breeze. It is designed innovatively for direct syringe application, preventing valve clogging and with an easy valve core removal tool included. This sealant syringe is industrial-grade and works with most types of sealants. Plus, it comes with a 100% satisfaction guarantee! One can really work up an appetite while mountain biking. 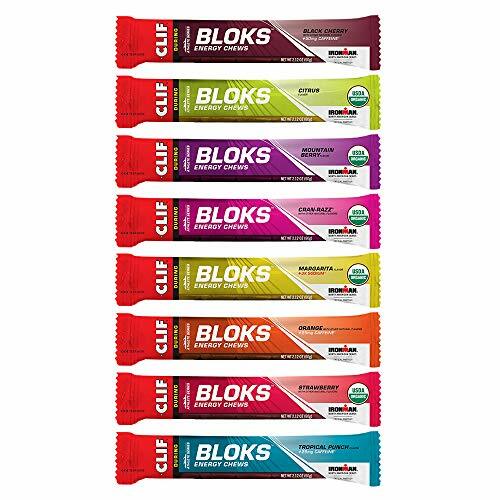 The Clif Shot Bloks Sampler Variety Pack is a great energizing set of delicious energy bars, each with only 33 calories and made from 95% organic ingredients. This sampler variety pack contains eight different delicious flavors of these yummy energy bars, ranging from citrus, orange, and tropical punch to strawberry, black cherry, mountain berry, and more! They provide much-needed electrolytes and carbs to the consumer. We’ve already talked about a great at-home pump for bikers. 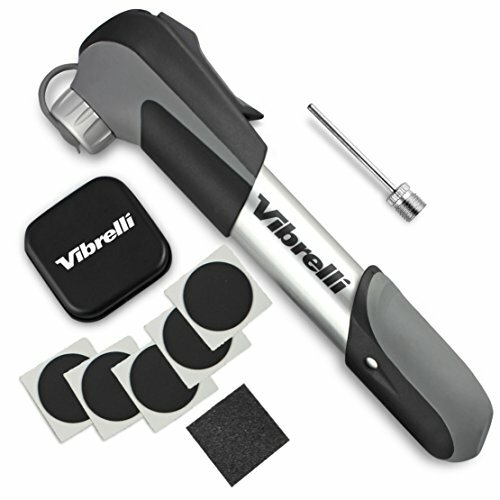 But the Vibrelli Mini Bike Pump & Glueless Puncture Repair Kit is the right size to bring along on the trail. This mini pump and repair kit is compatible with both Schrader and Presta valves and fits intuitively to prevent leaks. This pump uses a mounting bracket with velcro for secure pumping, and it switches between high pressure and high volume quickly thanks to a 120 PSI extendable telescope. Plus, the no-glue puncture kit can fit into a bag and be brought along anywhere. 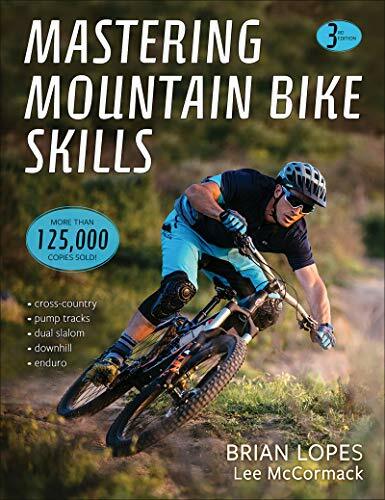 The third edition of Mastering Mountain Bike Skills, written by Brian Lopes the world-champion bike racer and Lee McCormack the world-famous riding coach, is full of handy tips, tricks, and techniques. These experts divulge their knowledge and perspectives on a variety of mountain biking topics, discuss the best techniques for race preparation, talk about biking in extreme weather, and even share their own stories from races. This is a must-have book for serious novice and intermediate mountain bikers! 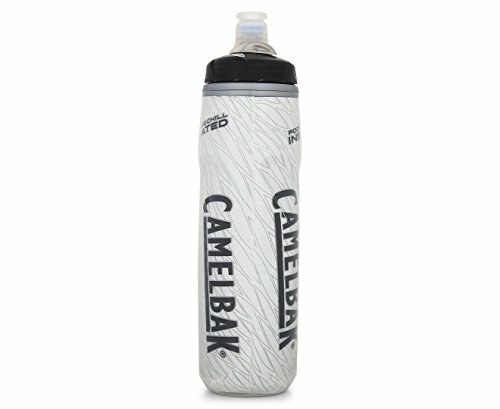 The CamelBak Podium Big Chill 25 oz Insulated Water Bottle is a BPA and BPS-free liquid container featuring double-walled insulation to keep the water nice and cool. It has a Jet Valve cap to allow for easy, no-spill drinking, and it can be securely locked to prevent leaks during rides or when shaken. This water bottle is made from Hydro Guard polypropylene that allows users to truly taste their drink instead of the water. It also comes with CamelBak’s lifetime “Got Your Bak” Guarantee. 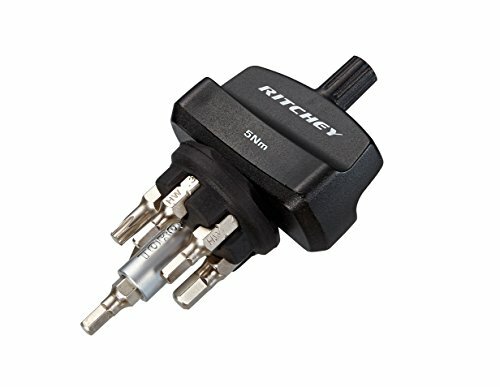 The Ritchey 6-Bit Bicycle Torque Key includes the most common hex keys and torque keys a mountain biker will possibly need. It comes with a bit holder for easy packing, and it uses magnetic bit retention to keep everything in place. This torque key has an ergonomic handle that makes it easy to handle and use.